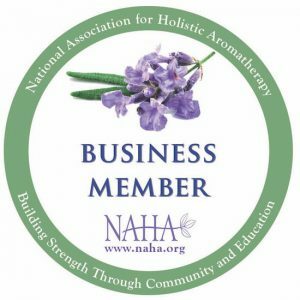 Choose which essential oils you’d like to use. You can use single oils or blends, but try to pick oils that have qualities that you’d like to cultivate. Maybe you need to wake up, maybe you’re looking for a relaxing shower to wind down, or maybe you just want your shower to smell really nice. Essential oils can be used to achieve any of these goals! So do some thinking. If you need some help coming up with ideas, I’ve included some of my favorite shower blends below. Fill a pipette with your chosen oils and use it to place drops of essential oil on the walls of your shower. If you don’t have a pipette, you can also just flick them from the bottle, or use a q-tip or cloth. Some people put essential oils on the floor of their shower, but I find that the water causes them to run down the drain and the effects don’t last long. If you place oils on the walls of your shower, the water won’t wash it away so quickly. After applying oil to the walls of your shower, place a few drops (about 5) on a washcloth to bring into the shower with you. 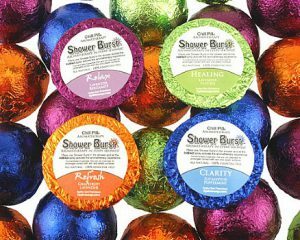 You can hold it near your face while you’re showering for a more intense aroma. I especially like to do this when I’m using the sinus congestion blend so I can inhale as much of those steamy oil benefits as possible. When you’re done showering, rinse the walls of any remaining oil. 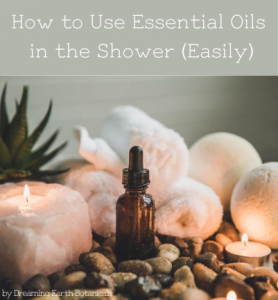 If you don’t want to flick essential oils on the walls of your shower and you’re looking for an even quicker aromatherapy shower experience, try just putting your essential oils of choice in a diffuser in your bathroom and let it run for a few minutes before you hop in the shower. The oils in the air will mix with the steam and create a warm, spa-like environment. And if your heart is set on bath fizzies but you don’t want to go through the hassle of making them yourself (we can’t all be crafty), you can always buy some. This is so fun! I’m going to try a version of the energy blend for my morning shower. I don’t have basil but I’ll try rosemary, lavender and orange. I also wonder about putting some oils on a sponge and laying that on the floor of the shower? Thanks for the ideas–I’m all for easy. I think the sponge idea is great! Maybe instead of putting it on the floor of the shower, though, put it up higher so the oils don’t run down the drain too quickly! Let’s start with the feet! Apply 1 drop to each the top + soles. note :: When I use an oil associated with women’s health + my moon time — i.e. clary sage — I like to take time to focus on the application over the uterus and ovaries. Hi, this is a lovely idea! My only addition would be to make sure you’re using diluted essential oils when you’re applying them to the skin. Thanks for sharing!